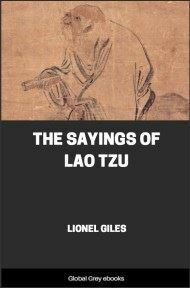 This short collection of texts featuring Chuang Tzu (Zhuangzi), the Taoist sage, is a good introduction to the core concepts of the Taoist worldview. 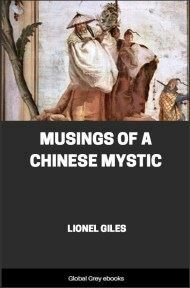 The author, Lionel Giles, was an eminent Victorian scholar of Chinese society, who, most notably, also translated Sun Tsu's Art of War. 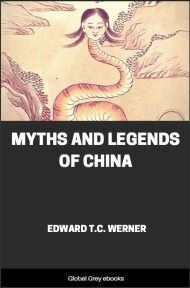 Although Chinese history can show no authentic contemporary record prior to the Chou dynasty, some eleven hundred years before Christ, there is no doubt that a high pitch of civilisation was attained at a much earlier period. Thus Lao Tzŭ was in no sense the first humanising instructor of a semi-barbaric race. On the contrary, his was a reactionary influence, for the cry he raised was directed against the multiplication of laws and restrictions, the growth of luxury, and the other evils which attend rapid material progress. That his lifetime should have coincided with a remarkable extension of the very principles he combated with such energy is one of the ironies of fate. Before he was in his grave another great man had arisen who laid unexampled stress on the minute regulation of ceremonies and ritual, and succeeded in investing the rules of outward conduct with an importance they had never hitherto possessed. If Lao Tzŭ then had revolted against the growing artificiality of life in his day, a return to nature must have seemed doubly imperative to his disciple Chuang Tzŭ who flourished more than a couple of centuries later, when the bugbear of civilisation had steadily advanced. With chagrin he saw that Lao Tzŭ's teaching had never obtained any firm hold on the masses, still less on the rulers of China, whereas the star of Confucius was unmistakably in the ascendant. 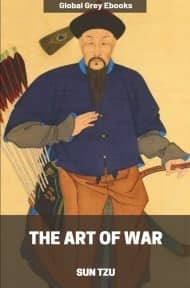 Within his own recollection the propagation of Confucian ethics had received a powerful impetus from Mencius, the second of China's orthodox sages. Now Chuang Tzŭ was imbued to the core with the principles of pure Taoism, as handed down by Lao He might more fitly be dubbed "the Tao-saturated man" than Spinoza "the God-intoxicated." Tao in its various phases pervaded his inmost being and was reflected in all his thought. He was therefore eminently qualified to revive his Master's ringing protest against the materialistic tendencies of the time. Chuang Tzŭ's worldly position was not high. We learn from Ssŭ-ma Ch’ien that he held a petty official post in a small provincial town. But his literary and philosophical talent must soon have brought him into repute, for we find him in frequent contact with the leading scholars of the age, against whom he is said to have defended his tenets with success. It does not appear, however, that he gained promotion in the public service, which is doubtless to be attributed to his own lack of ambition and shrinking from an active career, as we have his personal account of a deputation which vainly tried to induce him to accept the post of Prime Minister in the Ch‘u State. Official routine must have proved in the highest degree distasteful to this finely tempered poetic spirit, as it has to many a chafing genius since. Bold in fancy yet retiring by disposition, prone to melancholy yet full of eager enthusiasm, a natural sceptic yet inspired with boundless belief in his doctrine, he was a man full of contradictions, but none the less fitted to make a breach in the cast-iron traditions of Confucianism, if not to draw others after him in the same track. Of his mental development there remains no record. His convictions, as they stand revealed in his great philosophical work, are already mature, if somewhat lacking in consistency; he comes before the public as a keen adherent of the school of Lao Tzŭ giving eloquent and impassioned utterance to the ideas which had germinated in the brain of his Master. Chuang indeed, supplies the prime deficiency of Lao Tzŭ; he has the gift of language which enables him to clothe in rich apparel the great thoughts that had hitherto found their only expression in bare disconnected sayings. These scraps of concise wisdom, which are gathered together in the patchwork treatise known as the Tao Tê Ching, seem to have formed the kernel of his doctrine, and he proceeded to develop them in a hundred different directions. It would be unjust, however, to infer from this that there is nothing in Chuang Tzŭ which cannot be traced back to the older sage, or that he was incapable of original thought of distinct and independent value. On the contrary, his mental grasp of elusive metaphysical problems was hardly if at all inferior to that of Lao Tzŭ himself, and certainly never equalled by any subsequent Chinese thinker. His writings also have that stimulating suggestiveness which stamps the product of all great minds. After reading and re-reading Chuang one feels there are latent depths still unplumbed. Moreover, he gives free rein to his own particular fancies and predilections. There are sides of Lao teaching at which he hardly glances, or which he passes over entirely, while in other directions he allows his brilliant imagination to carry him far out of sight of his fountain-head. If the analogy be not too heavily pressed, we may say that he was to the Founder of Taoism what St. Paul was to the Founder of Christianity. As with Lao Tao forms the centre and pivot of Chuang Tzŭ's whole system; and this imparts real unity to his work, which in other respects appears undeniably straggling and illcompacted. But Tao as conceived by Chuang Tzŭ is not quite the same thing as the Tao of which Lao Tzŭ spoke with such wondering awe. The difference will be better understood after a brief sketch of the gradual development in the meaning of the word. The first meaning of Tao is "road" or "way," and in very early times it was used by a figure of speech for the "way" or method of doing a thing. Thus it came to denote a rule of right conduct, moral action, or the principle underlying it. There also grew up in common speech a natural antithesis between the Way of Heaven (T‘ien Tao) and the Way of man, the former expression signifying the highest standard of wisdom and moral excellence, as opposed to the blind groping after truth here below. Finally the "T‘ien" was dropped, and Tao then stood alone for the great unseen principle of Good dominating and permeating the Universe. The transition is visible in Lao Tzŭ, who was probably the first to employ the term in its transcendental sense, but who also retains the older expression T‘ien Tao. In one of his sayings T‘ien Tao is practically equivalent to Tao the First Cause, and must therefore be translated not the Way but the Tao of Heaven.